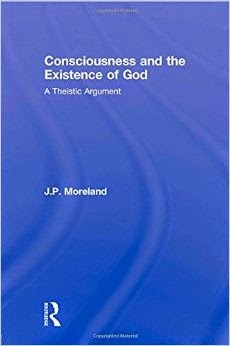 Some Notes on Moreland's "Consciousness and the Existence of God"
J.P Moreland argues that irreducible human consciousness provides compelling evidence for the existence of God. Moreland argues that naturalists ignore much of the background evidence for theism. Philosophical argument is favorable to theism, but these kinds of arguments are not forcing naturalists to raise the background probability of theism. Given the high probability of theism, the probability of consciousness being a mental property or substance is much higher (a theistic ontology admits mental substances/properties). On the other hand, given naturalism, the probability of mental properties is greatly diminished. To postulate mental properties on a physicalist ontology appears ad hoc and implausible. Moreland notes the most common objection to the argument from consciousness (AC) is that it is possible to include all the apparent properties of a theistic world and just leave God out of the equation. Moreland’s response to this is to suggest that AC provides a better explanation for apparent phenomena and should be accepted if one wants to maintain the features of the world that we would like (mental properties etc). The physicalist might respond that mental phenomena should be treated as brute facts and move on. This, Moreland argues, is tantamount to stealing the work of the theist. Moreland is willing to recognize that the impasse is reached at this point and is hard pushed to find more resources to breach it. Accusing the physicalist of being a parasite on the toil of the non-physicalist appears a bit much. Especially considering the wealth of data Moreland uses that has clearly come from the physicalist production line (Jaegwon Kim’s Supervenience argument, for example). It seems, for an argument reliant upon background evidence, if the naturalist allows theistic evidence, and thus admitting arguments like the Kalam argument, then the naturalist is in a much poorer position. However, the naturalist does have good reason to refuse to admit theistic background evidence. It does not meet the standards of evidence accepted by methodological naturalism. For the naturalist, evidence of the kind that Moreland would like them to admit sounds too much like evidence for the existence of fairies. The strongest arguments Moreland lays out are about why naturalist options fail to supply an account for mental properties without losing them all together. He is right to say that no one wants to be an elimitavist and shows that on paradigm accounts the work is all up hill. Moreland combines this with an able defense of dualism, from introspection, personal identity, first person indexicality, libertarian free will, and identity conditions. All this amounts to strong evidence for immaterialism of the dualist stripe. However, Moreland has promised us an argument not only for immaterialism, but for theism, and Christian theism at that. Does he succeed? Moreland argues that what drives strong naturalism is fear of God. Moreland cites several explicit comments from physicalists who are strongly motivated to reject AC because it supports theism. How does Moreland think this demonstrates the existence of God? He invites the physicalist to believe there are mental properties and then says that mental properties fit a theistic environment the best, but then suggests that the only reason to reject a theistic environment is that there is some motivation (fear, unwillingness, stubbornness) that makes it difficult for physicalists to move their position theism-ward. I am not clear how a theistic ontology that supports an immaterial soul is particularly Christian. AC may push someone towards theism of some kind, but I find it difficult to see why it would be Christian theism.